“MicroRNAs in Alzheimer’s disease, from molecular mechanism to therapy: everything to please a modern researcher “. 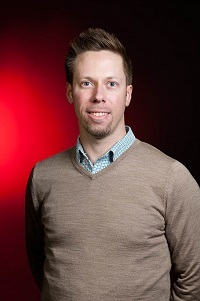 Sebastien currently holds an appointment as Associate Professor in Neuroscience at Université Laval, Centre de recherche du CHU de Québec, Canada. In 2003, he obtained his PhD in molecular biology at Université Laval in Canada. He then did a postdoc at KU Leuven, in Belgium, where he started working on the link between non-coding RNAs and neurodegenerative disorders. His presentation will focus on the past 10 years of research devoted to understanding the role of microRNAs in Alzheimer’s disease, the most common form of dementia. He will highlight recent advances, including from his own work, with regard to the underlying molecular mechanisms of disease, risk factors, diagnosis, and therapy.